Planning the office party can prove a headache, particularly when the budget is tight, so here’s Liz Taylor’s advice to make it as stress free and cost conscious as possible, without losing the sense of fun! -If you haven’t booked your venue, DO SO NOW – often the best venues are booked out by the end of the summer. If you can’t get your preferred venue, consider holding your party on a less popular day such as a Tuesday or Sunday, or even in January, both options will be less costly, enabling you to get the most out of your budget. –Take budget into consideration and work with what your company can afford. Think about what the most important elements of the night will be, along with what has been successful in the past and allocate the budget accordingly. Keep track of event budgets by using an app such as Xpense Tracker. –As soon as you have secured your booking, send out a ‘Save The Date’ email to whet everyone’s appetite, stating the date, time and venue. This is not only cost effective but will ensure as many people as possible attend. By following this up with a more detailed, themed invitation, you should get a great response. Always make sure you include an RSVP date and a request for any dietary requirements, as you’ll definitely need this to finalise catering. -Consider where your work-force live. If your offices are in different areas, put forward the idea of holding one big spectacular Christmas event in an easily accessible central location, rather than smaller, less impressive parties. You will have a bigger budget to spend and will be in a better position to negotiate enhanced services from your venue and suppliers. It will also be more cost effective for the company and is a great way for employees to mix and creates a sense of belonging within an organisation. -Don’t go for obvious venues. They will be the ones that are booked up a year in advance. Consider large function rooms in museums or galleries, which can often be hired at a reasonable cost. If your budget allows however keep your eyes peeled for more unusual venues such as zoos or aquariums. The past few years have also seen venues such as The London Bridge Experience and The Monastery in Manchester, take on a whole new lease of life as trendy, atmospheric evening event spaces. Seek out the unusual and make the venue part of your party’s WOW factor, it may take a little more effort but could reap rewards on the night. If you’re after something a little less quirky but equally impressive, find something that gives your party an added sense of occasion such as a hotel rooftop cocktail party, a Winter Wonderland themed marquee or festivities aboard a traditional steam train. -The trend for buffets, bowl foods and good canapés rather than the formality of a sit down meal will continue this year. If your venue has the outdoor space, also consider street food carts. They add colour, a sense of theatricality and a great variety of international cuisines including Mexican, Thai and Japanese dishes. This less formal style of catering can prove very cost effective and certainly adds some fun to the event. 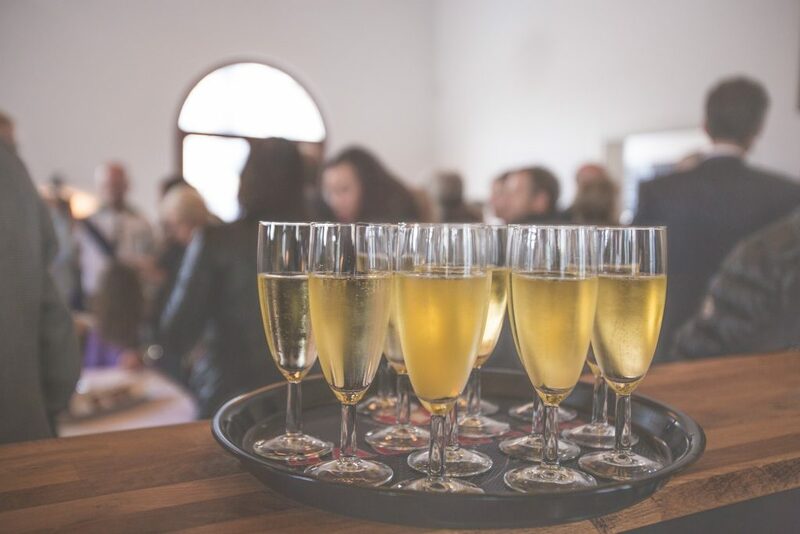 Always offer Champagne cocktails – a Kir Royal made with sparkling wine & cassis – or a traditional mulled wine, rather than glasses of Champagne at the reception to trim cost and never forget to offer a non-alcoholic alternative. -I always recommend that no matter where else you cut costs, never skimp on entertainment – hire the best DJ or band you can afford. Get it right and you will create an instant party atmosphere, everyone will be up on their feet. Remember, people can forgive a less than ideal venue and a simple, inexpensive meal as long as the entertainment is fabulous. Event companies such as TLC can find you the best entertainment around, ask friends for recommendations, or look for show reels on the internet. -Sorting out your guests travel arrangements on the night is essential over the busy festive period. Hire coaches and mini buses, rather than relying on lots of individual taxis but make sure you arrange this in plenty of time and see if you can negotiate a discount. -Christmas is a family time – so instead of your usual annual bash why not organise a family friendly daytime event and encourage everyone to bring along partners and children? Festive games, traditional food and a visit from Santa all go down well and create fantastic goodwill among employees. It can often prove cheaper than a party night event too. –As with all of TLC’s events, and Christmas is no exception, I think you should leave guests with a lasting memory of the occasion. If your budget will allow, spend it on one spectacular surprise element, be it fireworks to round off the evening, an ice rink or a visit from Santa and his reindeer. I recently attended an event where a real time graffiti artist created a bespoke piece of contemporary street art while guests partied. The fantastic artwork was dramatically revealed at the end of the event and created a real stir amongst the guests. -Rather than providing goody bags for your guests, place a present for each guest under the Christmas tree or host a surprise free raffle offering some very special prizes. If you would like your guests to leave with a fun personal memento of the event, consider hiring a photographer, or better still a photo-booth! Booths come in weird and wonderful guises now, such as converted VW Beetles, complete with comedy hats, glasses and props. Everyone has great fun dressing up and comes away with a unique memento of their fantastic evening that (hopefully!) they’ll be able to display on their desk and talk about for months to come. The media furore about actor Leonardo DiCaprio taking a private jet from Cannes to New York to collect an environmental award, before jetting back to Cannes to continue partying, has got TLC thinking about the nature of a true green event and how you achieve it. Daunted by the prospect? Well, our 6 Sustainable Events Tips as a great, and easy, place to start on the road to environmentally aware event planning. The criticism directed at DiCaprio is that he is a hypocrite, advocating one lifestyle while living another. For businesses this is an important lesson. If you are going to promote greener choices to your clients then you have to show that your practices are consistent with those messages. 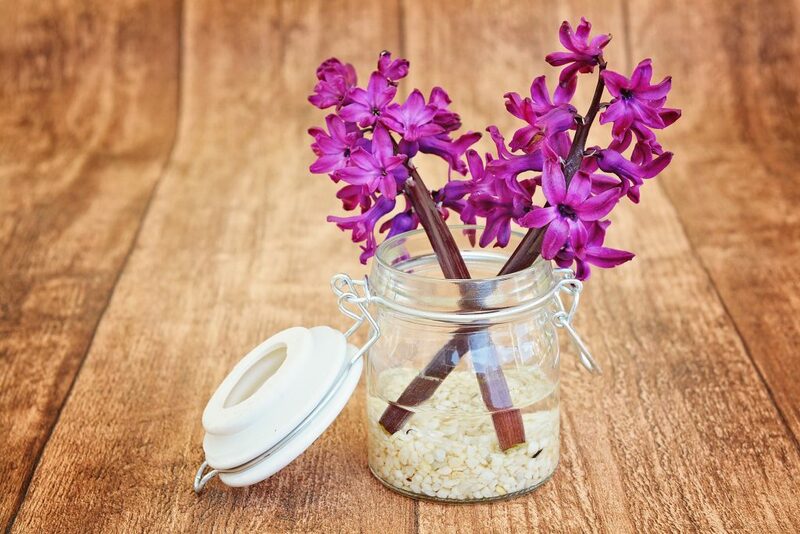 One way to do this is to ensure that any meetings and events you organise meet recognised green credentials…or at least attempt to bring them in line with a more environmentally sensitive approach. Unfortunately, there is still a widely held belief that luxury and green don’t go together. 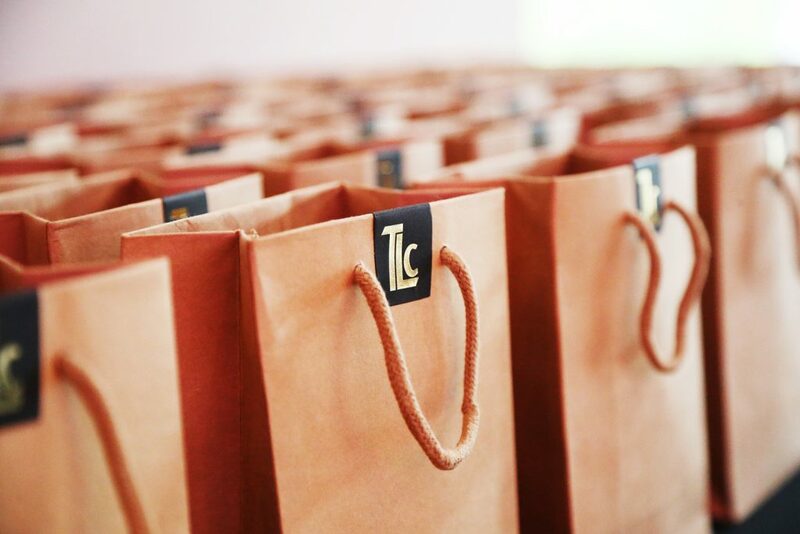 But as we at TLC know, what is good for the environment is good for everyone, and with a bit of flair and careful planning you can create a green meeting that impresses on every level. As the backlash against DiCaprio has shown, people don’t like to be lectured to. Thankfully for most people caring for the environment is a high priority. That said; nagging your guests into becoming greener is not going to leave them feeling enthused. Instead use the opportunity to highlight the benefits of a greener business and to showcase ways to link high-quality events with the green agenda. 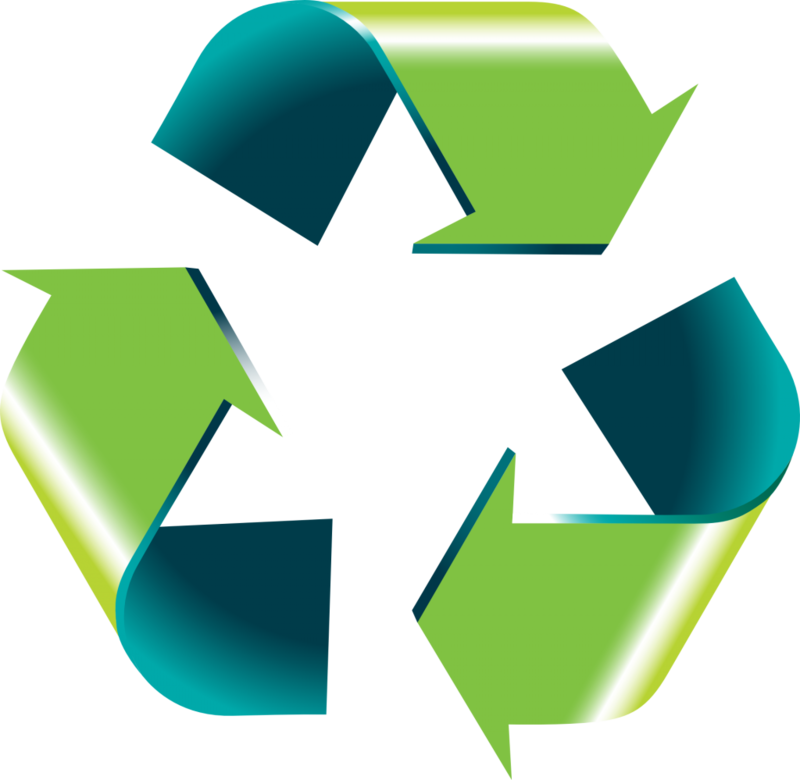 My hotels and event venues support recycling, energy efficiency and water conservation as part of their basic operating structure. When choosing a venue look for one that has been accredited by an external organisation like the Green Tourism business scheme, that recognises sustainable practices. Many venues now have a green team who can suggest ways to make your meeting more environmentally friendly. By asking for more information in this way you are letting green certified venues know that their eco-friendly practices are an important factor for you when booking. As the media response to Dicaprio shows, the transport you choose for getting to and from a meeting is an essential part of maintaining your green credentials. 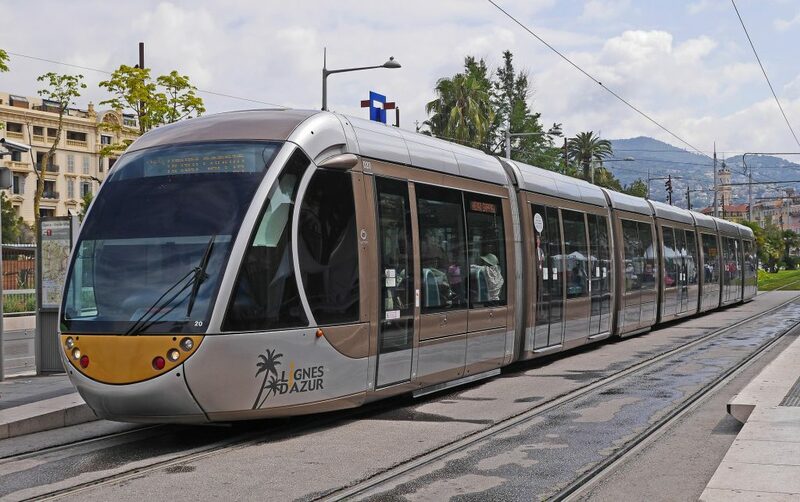 Select locations with good public transport links and encourage delegates to travel by train, perhaps organising deals with a train operator who may want to promote the comfort of its first-class travel. 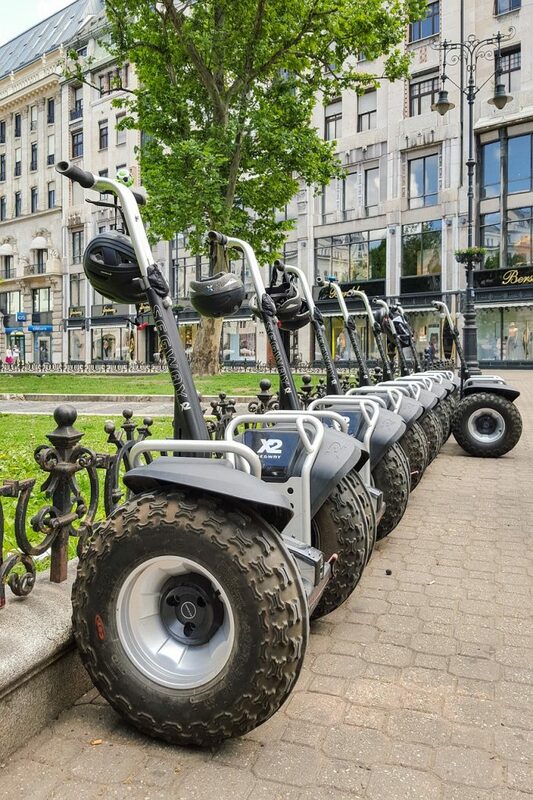 Ideally choose a venue within walking distance of a main train station, but if further travel is needed organise a shuttle service for your guests using executive, low emission vehicles….or how about a fleet of company-branded Segways?? If your delegates must fly, and sometimes they have to, suggest they adopt one of the carbon off-set schemes for their journey. On our list of 6 tips for sustainable events, this is the tastiest! Using locally sourced organic food for your catering is an excellent way to keep your carbon footprint low, whilst allowing guests to experience local cuisine in a way that adds a distinctive edge to your event. TLC still uses the same creative presentation and innovative ways to serve the food, it’s simply sourced much closer to the plate! The same rule applies to drink. If you are serving alcohol, consider serving a local brew or one of the high quality English sparkling wines instead of Champagne. There really are some great choices now. For ingredients or drinks that can’t be sourced locally, e.g. tea and coffee, use Fairtrade where possible. To prevent an over-reliance on bottled water, ask your venue if it can filter water onsite and for conference-style meetings, offer a water cooler so delegates can help themselves. Going digital is one of the easiest things you can do improve the environmental outcome of your meeting. Delegate briefings can be sent electronically ahead of the meeting and if there are any further materials you’d like people to take away include this on a memory stick or else make it available via an application such as Dropbox. You may want to consider creating a bespoke app, as a central source for any information about the event, which can be easily updated. Apps can provide a safe and central online space to share information and connect with other delegates. It can be a place to access relevant materials after the event, such as video playback of key speeches or product launches, and can also be used as an additional platform for sponsors to advertise relevant products and services. And don’t forget – for small meetings, SKYPE and video conferencing can save time, money and emissions into the environment by negating the need to fly to people long distances for meetings. And finally, number six on our list of 6 tips for sustainable events, we’ve all sang along to Jack Johnson’s three Rs, and now it is time to put those lyrics into practice. When thinking about reducing there are simple swaps we can make in meetings, such as giving guests bespoke designed jute bags instead of plastic wallets. 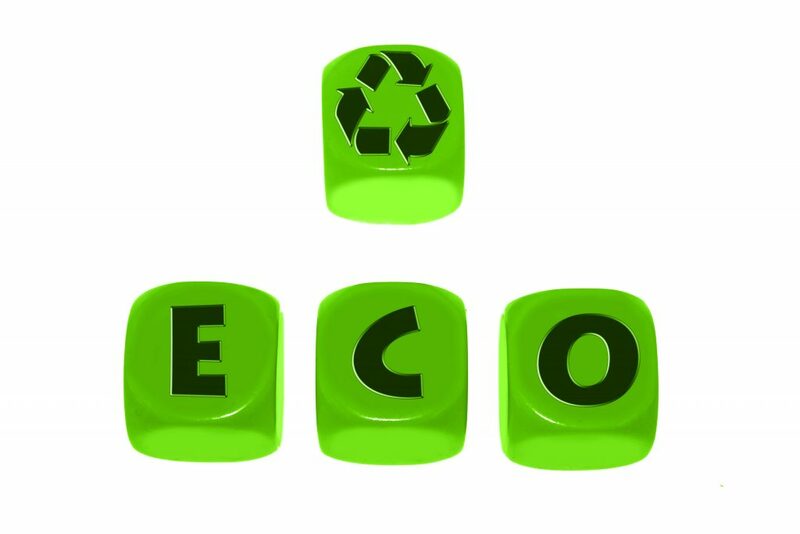 An easy reuse is name badge holders – so always ask delegates to return these after an event. Recycled note paper or better still, hire I-pads or tablet computers so delegates can takes notes then email back to the office. 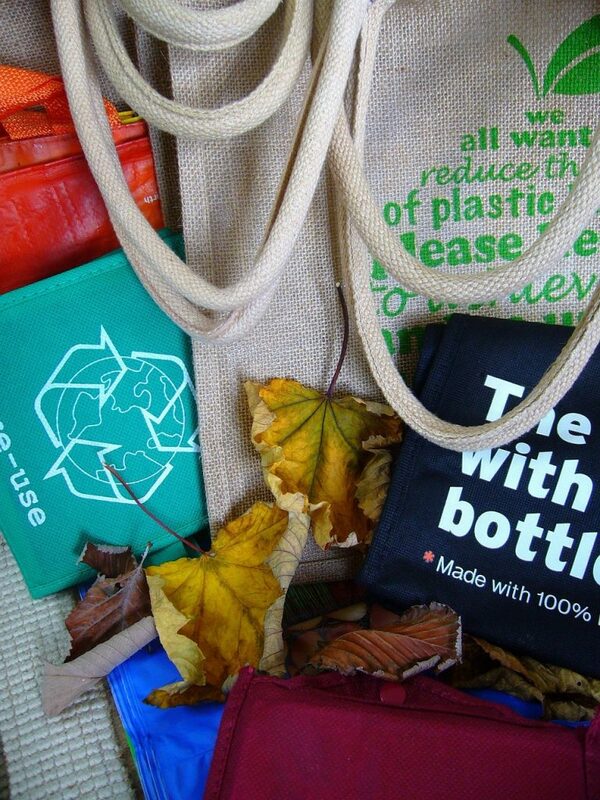 We also use simple, paper bags which can be fully-recycled to contain give-aways. Be creative. 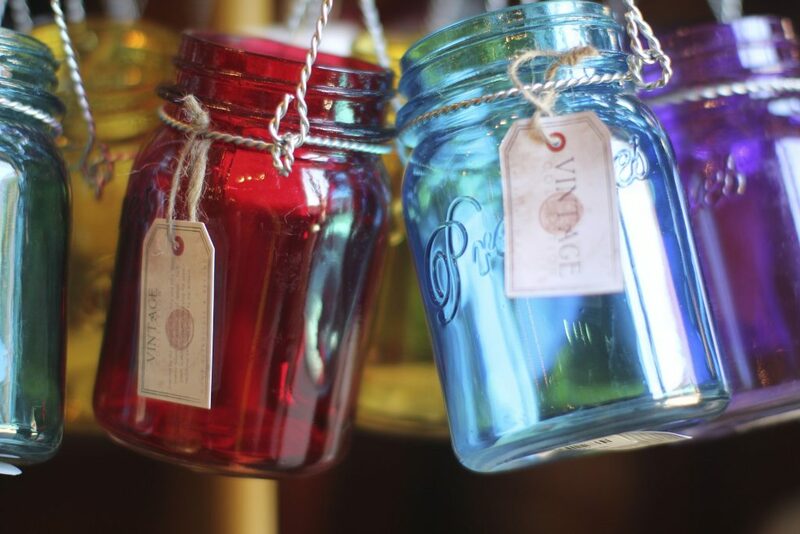 Use recycled glass-jars as candle or flower holders, old-kilner pots to hold your pudds or reuse tin cans (cleaned of course) as cocktail holders at the post-conference party. If there is anything you know you can’t reuse, plan ahead by finding out if there is a charity or other organisation that could make good use of something before you throw it away. Always check a venue’s policy on recycling; ask if they can make recycling bins available and find out what happens to any leftover packaging, food and materials after the event. None of these ideas need affect the style or quality of your event..in fact, you should consider it a creative challenge! With our 6 Sustainable Events Tips it is much more about enhancing the meeting with a greener approach, than turning an event on its head! Simple steps that any company can include in their next event. Good luck! 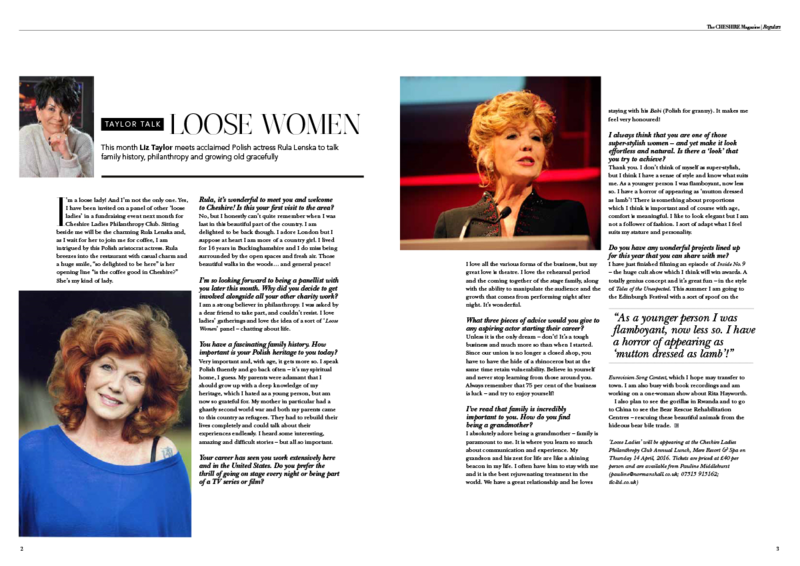 If you haven’t already seen it, you should check out Liz’s interview with actress, philanthropist and animal welfare campaigner, Rula Lenska. It featured in last month’s The Cheshire Magazine and was just ahead of a fundraising day in Cheshire, where Liz joined Rula and TV broadcaster Julia Somerville on a Loose Ladies panel. Next month’s interview – well – he’s colourful, outrageous, charming and the epitome of style…….you wont want to miss it! The table planner is the one thing you can guarantee guests will scrutinise at your wedding reception. So, it’s no surprise that more and more couples are moving away from a simple paper seating plan, and taking the opportunity to express their creativity and personality in ways that won’t be missed. 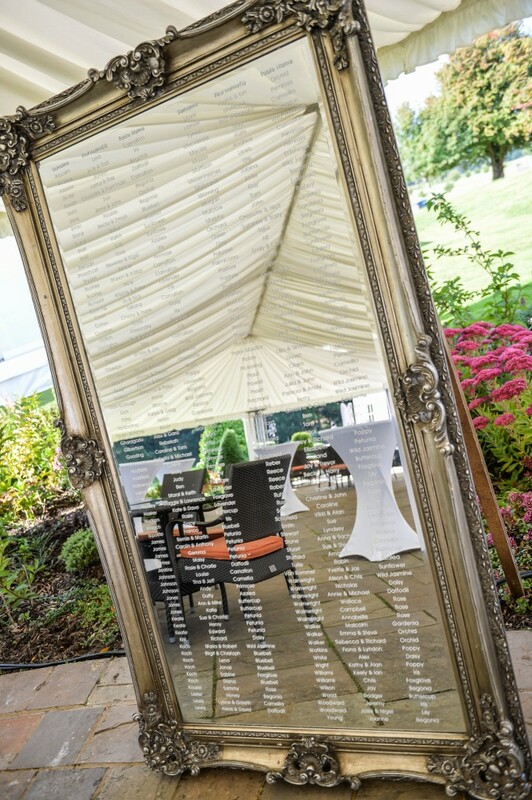 A full-length, antique mirror, engraved with your seating plan, provides a truly luxurious twist on the traditional paper planner. Of course, the detailed work involved in its creation doesn’t allow for any last minute changes, but it is an option that you can take home and hang on your wall as a lasting memento of your big day. For a vintage budget alternative that looks amazing, you can use an old framed, window pane and written on in white pen. All-in-one favours and table planners are proving increasingly popular, particularly at Christmas, when you can have mini-wrapped presents for each guest, with a tag including their name and table number. Jo Malone candles and gifts are a gorgeous luxury option, but any gift wrapped beautifully and in keeping with your theme and colour scheme will look amazing and make your guests feel appreciated. Another great option for winter weddings is to peg a glove to a decorated board. 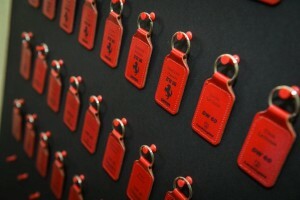 Attach a tag with the guest’s name and table number. On getting to the table they will find the matching glove to make a pair. Choose a soft leather glove for added luxury or coloured mittens for cosy appeal. A painted wooden door covered in personalised keys and keyrings looks fabulous and makes for wonderful keepsakes. Again there is something to suit every budget and taste. 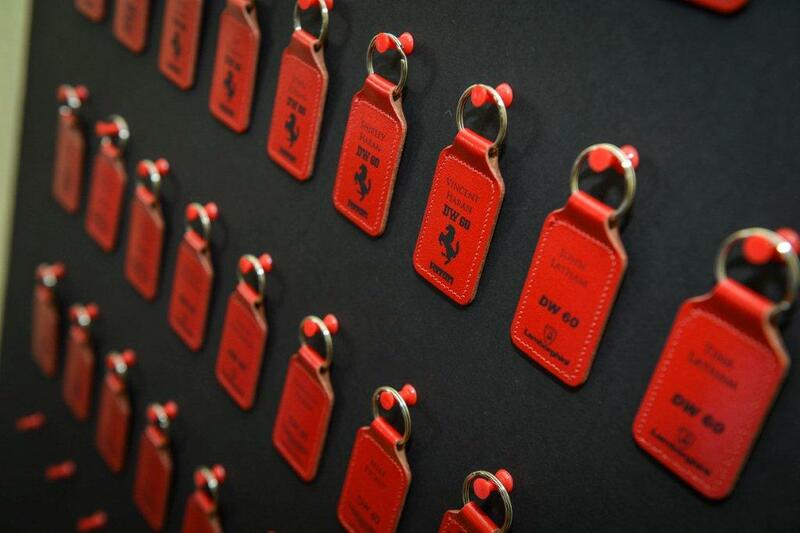 For example, one client who loves racing cars chose to give each guest a coveted Lamborghini keyring sourced specially from Italy. Starting the evening with a game is a great way to get guests mixing. Hook-a-duck is a fairground favourite that is easily adapted to a sitting duck interactive seating plan. 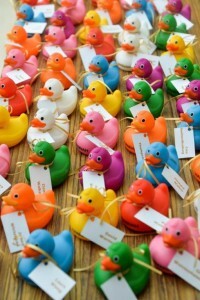 The idea is that guests need to hook the duck with their name on to find out where to sit. Of course your guests might have to catch a few ducks before they find the one with their name on it, but that’s all part of the fun. Star Wars and Lego figures appeal to the child inside all of us. There are so many characters to choose from now that you could line them up on a table next to name cards without any two guests having the same. When all together the effect is fun and great for wedding parties with separate tables for little ones. Sharing your wedding day is about celebrating and creating happy memories with your family and friends. It can also be a time to reminisce over fun times together. A photo-board is always a great conversation starter and you can incorporate this into your table-plan by printing Polaroid-style photographs of your guests with their name and table number on the white of the photo. This works well with childhood pictures or images that reflect a particular memory that everyone can enjoy sharing.